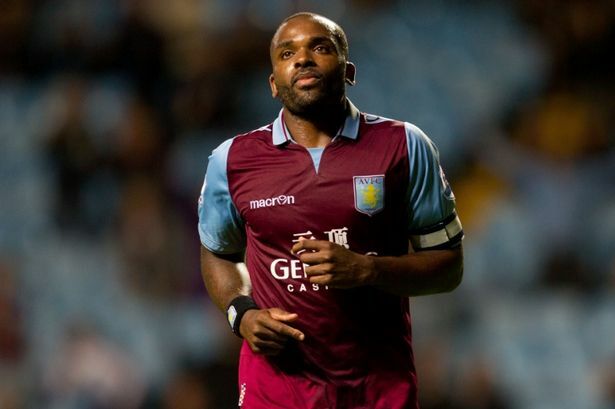 It would be an understatement to say that Darren Bent has endured a difficult season for Aston Villa. He struggled for fitness and form in a campaign to forget, coming under intense scrutiny from some of the Villa fan base and generally not living up to his price tag for a number of reasons. Bent has been incredibly unlucky during his time with the Midlands club. He made the move from Sunderland to Aston Villa in January 2011 for a fee of £18 million, a club record, in order to improve his chances for a place in the England squad. He did enjoy some initial success as he finished with 9 League goals for the Villain’s and a total of 17 Premier League goals overall. However, managerial changes, injuries and lack of form have meant that Bent’s time at Villa has been mired in despair. The success Christian Benteke has also been another hurdle for Bent to contend with. Having been ousted as the star man by the Belgian striker, whose excellent form saw him finish the season with a total of 19 goals in the Premier League, Bent has not been able to force his way back into the starting line up. The epitome of Bent’s season has to be the substitute appearance in the 3-1 loss to Bradford City in the League Cup semi final, first leg. The England striker entered the fray at Valley Parade just before the hour mark as a substitute for Gabi Agbonlahor. With City leading 1-0, Bent had one guilt edged opportunity to level the scores as Matt Duke fumbled Charles N’Zogbia’s cross, but he squandered the chance as he headed over from six yards out. He was then substituted on the 85 minute mark with an injury sustained in that incident. Bent was most recently dealt another cruel blow as he returned to Villa for pre-season training in July 2013. The striker was effectively ejected from the first team, ordered to move out of the dressing room and told he would not be selected for any of Villa’s pre-season friendly squads. He was sent to train alongside fellow Villa exiles, Alan Hutton and Stephen Ireland in isolation. Paul Lambert has made it perfectly clear that he is looking to offload Bent as soon as possible; to anyone who is willing to take the forward and lifting £65,000 a week off the wage bill would be a significant relief for the club. However, finding a suitor for Bent could prove more difficult. Although there has been reported interest in the forward from clubs like Newcastle United, there aren’t many teams who would be willing to shell out £8 million on a player in Bents situation. Despite having a relatively good goal scoring record in his younger days with Sunderland, Tottenham and Charlton Athletic, Bent is no longer the player he used to be. Loss of form, loss of confidence and a growing injury record, he is not exactly at the top of everyone’s shortlist as he once was. Even with the plethora of problems faced by Bent in recent seasons, I disagree with how Aston Villa and Paul Lambert have treated the forward. On the surface, the methods both parties have employed seem unprofessional at best. Forcing a player to move out of the first team dressing room and train away from the rest of the squad seems highly suspect, especially considering he doesn’t seem to have done anything which would indicate indiscipline? Whilst Bents relationship with Villa has run a very rocky course, the way in which Lambert and the club are overtly forcing Bent out of the door could cause even more harm to the career of a once good quality striker. If they honestly want rid of him that desperately then why not just cut their losses and agree a mutual cancellation of his contract? 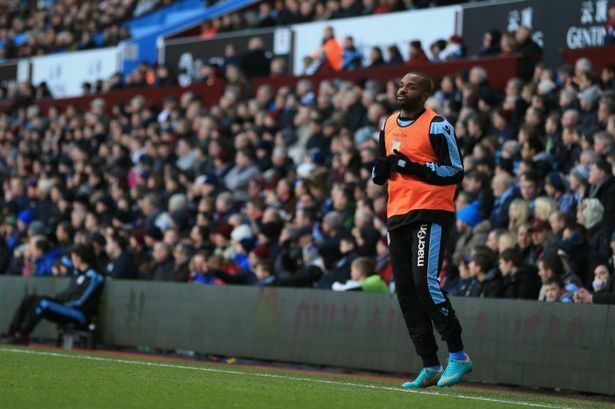 Moreover, it is highly unlikely that Villa will get the reported £8 million asking price for Bent. Footballers are paid handsomely for their efforts, but this does not automatically make it okay to treat them unprofessionally and in an unethical manner. The question of Darren Bent’s future remains in the balance as he looks for the nearest exit door. The sad thing is the high probability he will end up in a similar situation to Michael Owen, sat on the bench as he drags out the twilight years of his career until retirement. This piece was originally written for Bets of Mates.